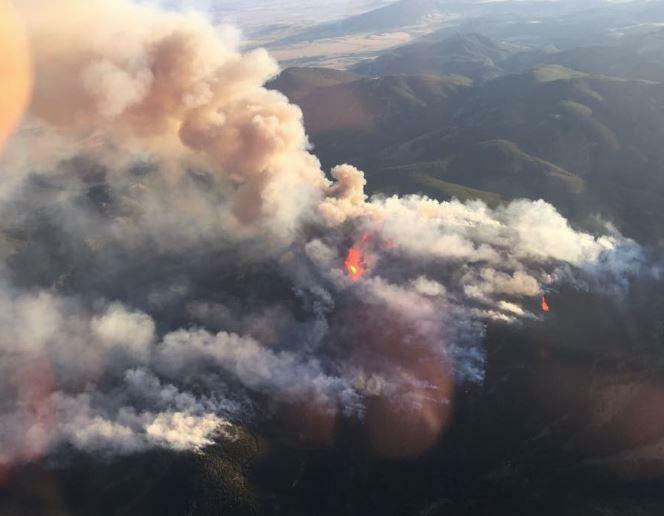 An aerial shot of the "July Fire" taken on July 10, 2017. 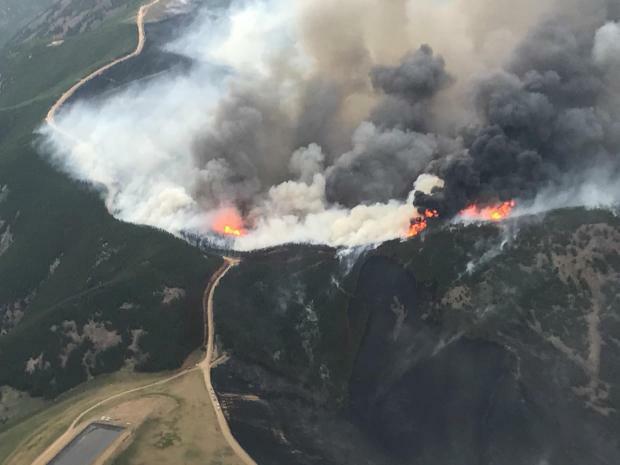 Helicopters took to the air Wednesday and Thursday over the site of the July Fire. Instead of fire suppression they were working to restore the burned landscape. There’s snow on the ground in Phillips County but that was not going to stop the reseeding effort, said Bureau of Land Management Montana/Dakota botanist Wendy Velman, head of the botany and emergency stabilization and rehabilitation program. The helicopters were dropping special wood straw and native seeds right above the town of Landusky. Velman and her team visited the fire site right after the fire was contained, and began evaluating the damage and what needed to be done to restore growth, like reseeding with native seeds, and what they can do to reduce runoff and prevent erosion. Nearby the Montana Conservation Corps already had installed 77 man-made cylinders of compressed weed-free straw. These wattles, nearly 100 ft. long and staked into the ground, are another barrier to water running down a slope. Not all 18 square miles of the land burned by the July Fire suffered total devastation. Velman’s crew found some regrowth, including in growths of alders and birch. 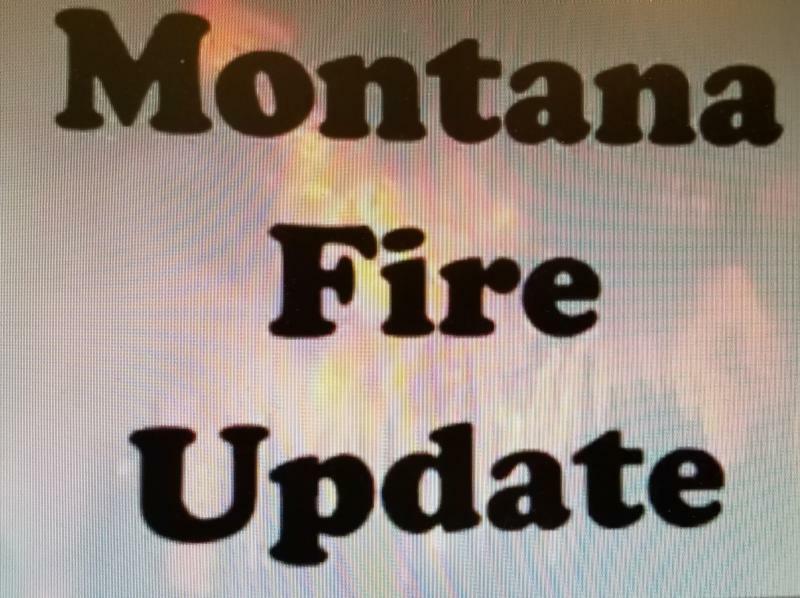 Landusky Residents Told To Prepare To Evacuate Because of "July Fire"
Fire officials say this morning the winds have shifted and are now coming of of the east-southeast pushing the July Fire northwest towards Landusky. Phillips County Sheriff's Deputies have made contact with residents of Landusky and told them to get ready to evacuate.